City Amenities with a Country Feel! 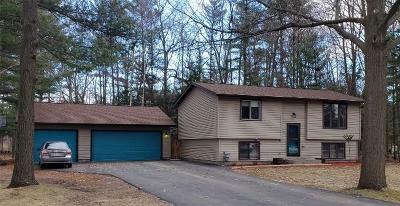 This Split Level Home sits on .69 acres with lots of mature trees located on a dead end street. 3.5 stall 30x32 insulated garage with lots of built in's & benches, partially fenced in yard, nice deck off back, garden shed & nice spacious yard. Upper Level has Kitchen w/island and built in bench/storage, Living Room, 2 Bedrooms and Full Bath, lower has larger bedroom with 10x7 walk in closet, family room, full bath, & utility/laundry room. 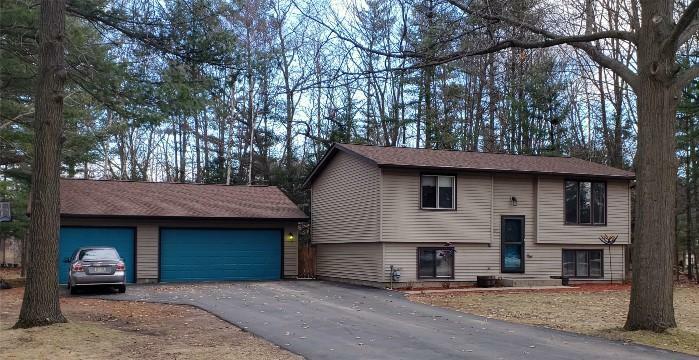 Fantastic location, walking distance to schools and park, Kitchen Appliances included, Don't wait on this one - there are limited listings in Peshtigo!